Finally in Kenya you can now move funds between your PayPal and M-PESA accounts. So now you can pay your Green Card Application fee using your M-PESA account linked to gether with a PayPal account. Sign up for PayPal, it's easy. Signing up for PayPal usually requires adding card details, but we will still create an account for you - even if you don't own a debit or credit card. Just click on "link card later" during sign up to PayPal. Opened your new PayPal account? Great! Just don't forget to confirm your email address (check your inbox) and you'll be good to go! When done you can transfer money from you M-PESA account to your PayPal and account and then pay your application directly to use by using our PayPal email: paypal@usgco.com or request us via our support to send you are money request via PayPal. 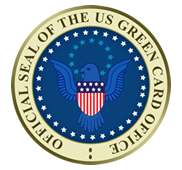 You have been removed from US Green Card Office Application Newsletter.